If your vehicle has recently been in an auto accident, the damages are not always limited to the car’s exterior. And just as a human being can have an internal infection that is not visible until medical tests are performed, internal vehicle trauma may not be detected until the vehicle is fully inspected by a reliable auto body repair technician. Keep reading to learn common hidden damages your vehicle may incur if it is involved in an accident. Measure the distance between your vehicle’s fender and rear wheels on both sides. If the distance varies between the left and right rear wheel, then chances are something was bent or moved out of line. This of course is a simple test to help determine damage after an accident. Ultimately you should have a professional auto body shop diagnose your vehicle. Ignoring frame damage can cause safety issues in the future. For example, bent frames can cause sensors from your warning and safety systems to be out of alignment, including your air bags. Even a small fender bender can loosen wires and damage crucial electrical systems in your vehicle. This is especially true for modern vehicles as they have more electrical components than older cars and trucks. Electrical issues can vary from your clock, lights and speakers not working properly to other serious problems such as an electrical fire. Having your vehicle thoroughly inspected and repaired correctly, immediately after the accident will help you avoid these repairs that potentially could be catastrophic if left undiagnosed. Transmission damage is possible from rear-end collisions, especially with rear-wheel drive vehicles since the transmission is located toward the back. 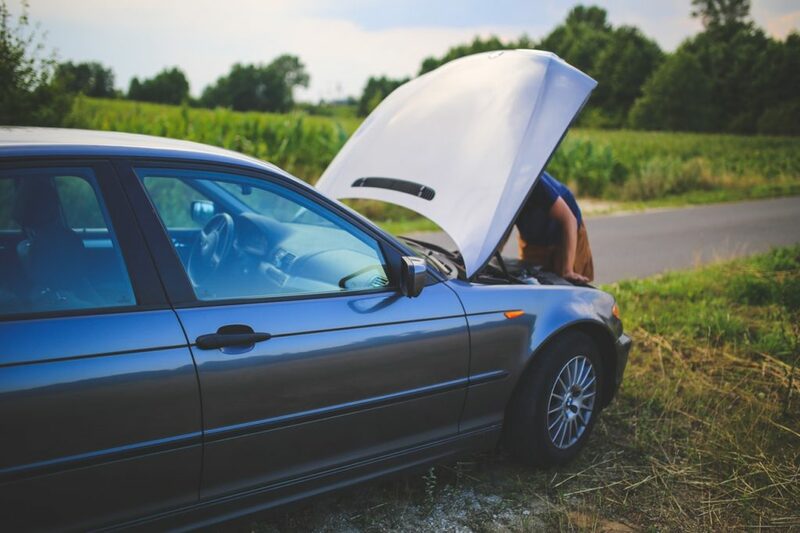 Some common signs of transmission damage include difficulty shifting gears, transmission fluid leaks and problems accelerating due to your transmission slipping. Other indications of transmission damage may include a burning smell, check engine light or strange noises coming from the vehicle. If you notice any of these warning signs, visit a local mechanic or auto body repair shop. Even better, choose a collision shop that inspects for internal damages right after the accident occurs. Has your vehicle been involved in an accident and is in need of auto body repair? Or, perhaps you have had the collision repairs completed but now you are experiencing some of the problems mentioned above. Either way, schedule an appointment with the professionals at Pole Position Auto Body. Our state of the art equipment and trained technicians will make sure your vehicle is in pristine condition – inside and out.